The contiguous United States (USA) originally had two endemic parrot species, the Carolina Parakeet (Conuropsis carolinensis) and the Thick-billed Parrot (Rhynchopsitta pachyrhyncha). The Carolina Parakeet is now globally extinct, and the Thick-billed Parrot was extirpated from the USA. Otherwise, over the last century, the USA has become home to an increasing number of naturalized parrots, originally introduced through the pet trade. In this paper, we use historical records as well as data from citizen science (eBird and Christmas Bird Count, CBC) to summarize the current status of each of the naturalized parrots in the USA. During the 15-year period 2002–2016, eBird and CBC contain sighting records of 56 species of parrots in the wild in 43 states. Of these, 25 species are now breeding and 23 states have at least one species of parrot breeding there. The three most common species are the Monk Parakeet (Myiopsitta monachus), the Red-crowned Amazon (Amazona viridigenalis), and the Nanday Parakeet (Aratinga nenday). Collectively, these three species comprise a total of 61% of all sightings on eBird and CBC over the last 15 years. Three states—Florida, Texas, and California—collectively support populations of all 25 species of breeding parrots in the USA. Naturalized parrots are now common species in local avifaunas in many areas in the USA, and they highlight complex issues, from the conservation of endangered species to the management of invasive species. 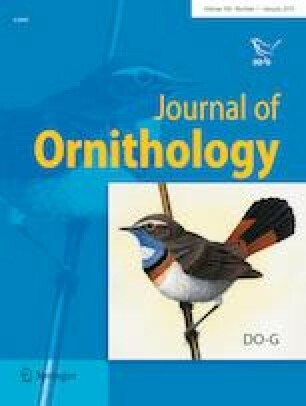 We thank Kate Buchanan and the organizers of the 27th International Ornithological Congress held in Vancouver, British Columbia (August, 2018) for inviting us to contribute this paper. CBC Data are provided by the National Audubon Society and through the generous efforts of Bird Studies Canada and countless volunteers across the Western Hemisphere. eBird data are provided by the Cornell Lab of Ornithology. We thank the thousands of citizen scientists who contribute to CBC and eBird. We are grateful to Kimball Garrett and an anonymous reviewer for detailed and useful comments that greatly improved the manuscript. This research did not involve handling of any animals.